Tried my hand at some bearded hats. 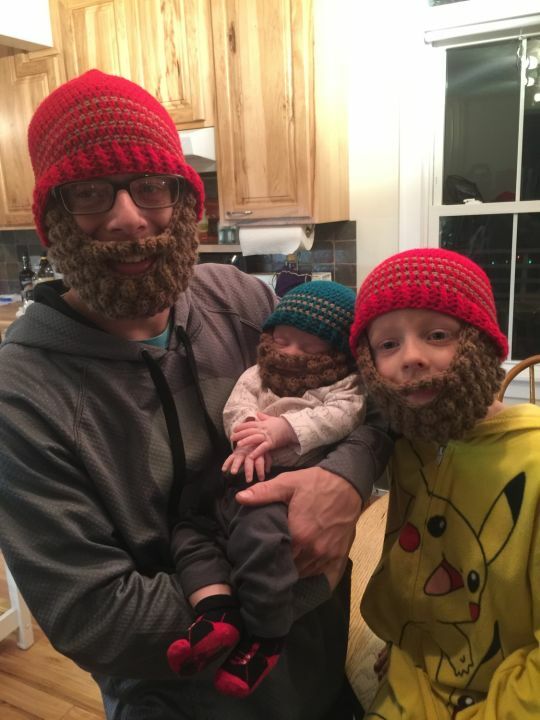 I think my brother and his boys are having fun with them. I used patterns from Ashlee Marie.